2 Straight Pins 1 Piece of fabric cut 1" x 3" approx - Holding StripThe strip you will make into bias tape, I cut mine large to show, normal cut will be 3/4" to 1 1/4" wide. 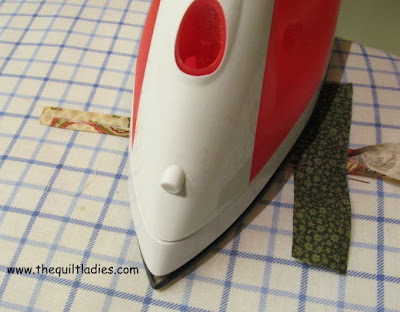 A dry Iron and Ironing board. Lay your started binding down, press side up. 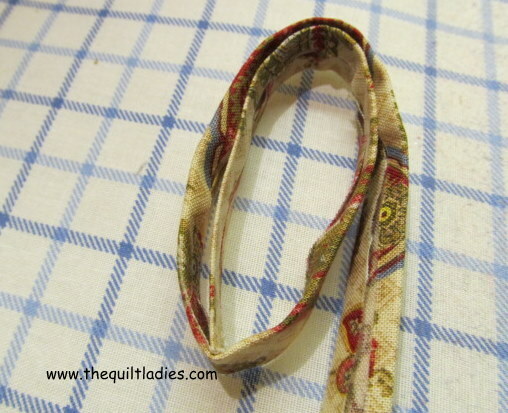 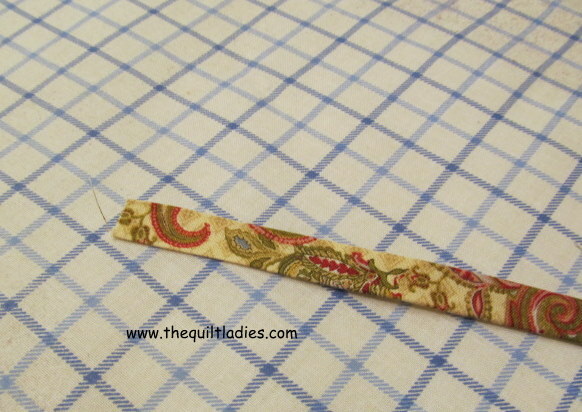 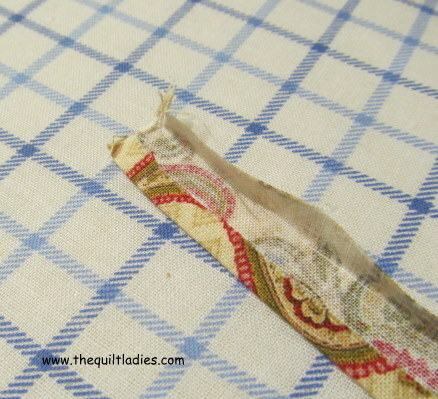 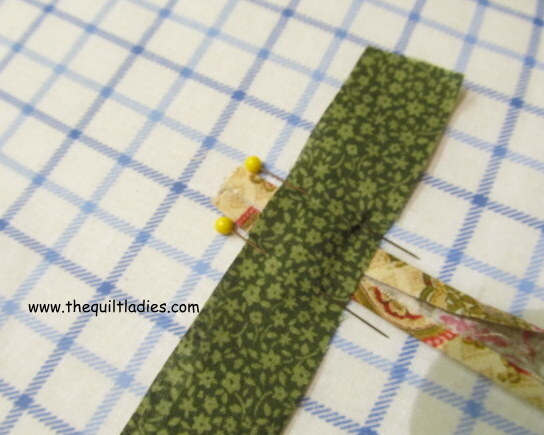 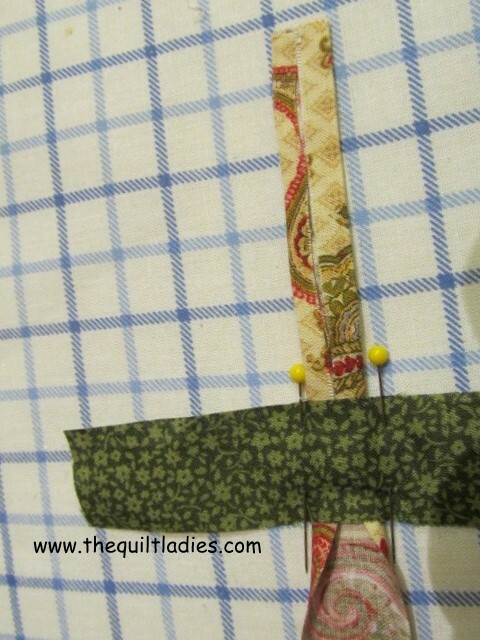 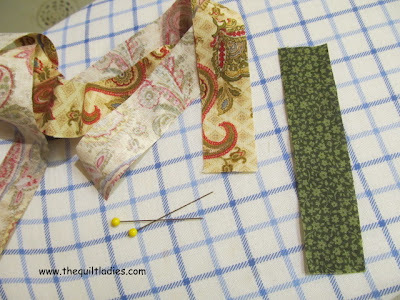 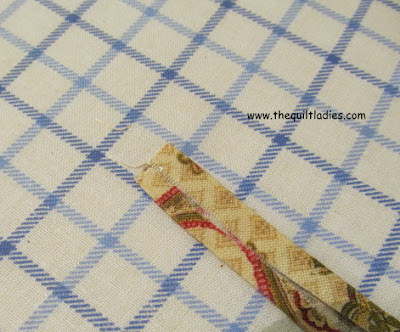 Take your Holding Strip and lay on top, Pin into your ironing board cover next to the bias tape. 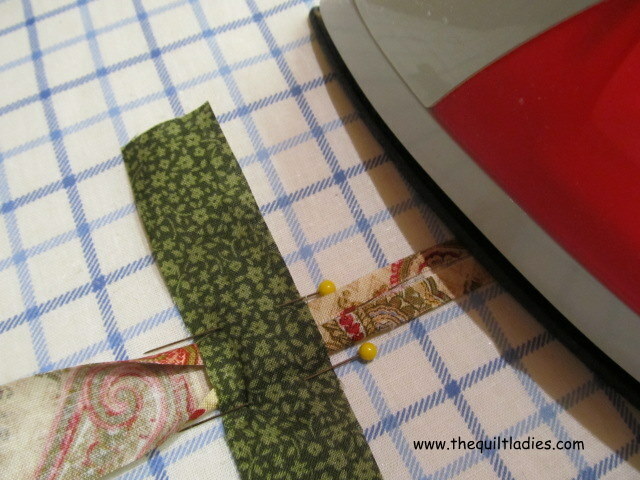 And, with a hot, dry iron press, at first do a bit, and lift iron, pull and iron. 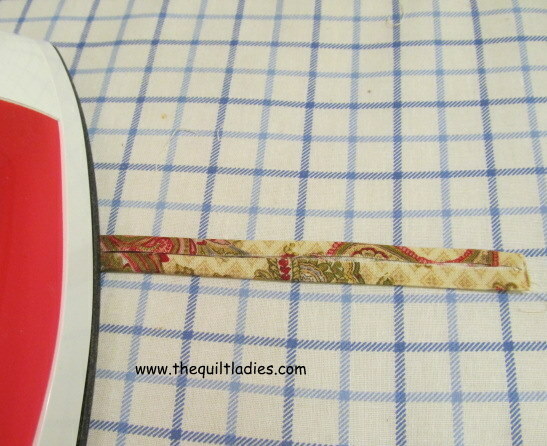 As the tape becomes longer you can leave the iron and pull slowly. Good side of bias tape. I like to roll mine to keep it until I'm ready to use it. 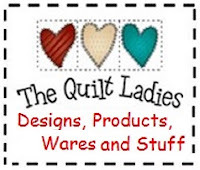 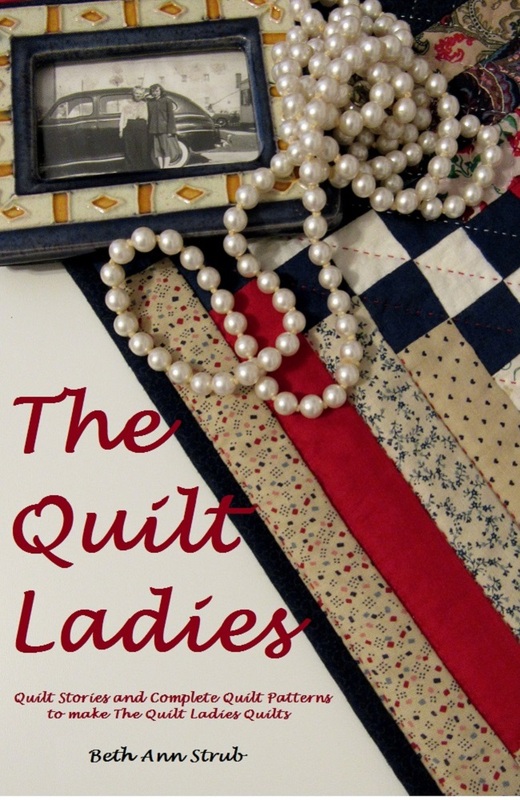 No need to buy a machine to do this for you ! But, you can if you like !